We arrived in Meta, Italy on July 9th after being dropped off on the side of the road by the bus. We were lost and confused as to if we were even in Meta to begin with but eventually found our way to our AirBnb. I took a chance and booked an apartment that was a new listing and had no reviews, typically I would not do that but I did and the apartment was the best! 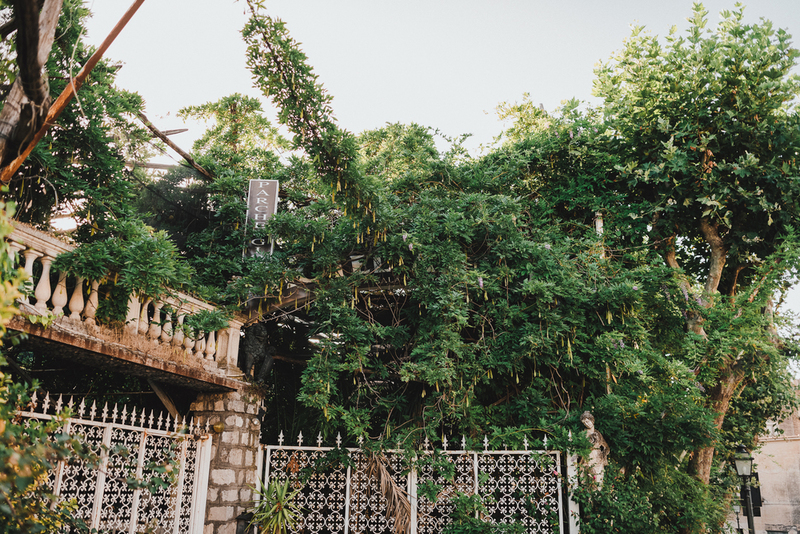 It was nestled in the tiny town of Meta (about 2km outside of Sorrento), down an alleyway and was incredibly clean and updated but located in a super old building which gave it a nice vibe. I was looking on TripAdvisor about where to eat and it seemed that there were only a few places to eat in Meta and one of them offered a gluten free menu which is good for Myles. We wandered down the streets then down a cliff side and eventually found Tico Tico, the cutest restaurant carved into a mountain with an incredible view of the ocean. We enjoyed the best dinner with the best view, so good that we even went back two more times! The next day Jordan came to meet us in Sorrento and our AirBnb hosts organized a boat tour of Capri for us. We hopped on the boat at around 9am and enjoyed a full 8 hours touring the caves, swimming in them, waterfalls and beauty on the way to the island of Capri. We visited Capri for about three hours and it was amazing, again you can't really put into words how beautiful it was. On the way back we stopped at the Blue Grotto and had the opportunity to jump into a tiny row boat and squeeze through the TINY hole in the mountain to get inside. Not even exaggerating, there were six of us crammed into a tiny row boat and we had to lay down/duck down as much as we could in order to get through this hole in the cave. Once inside the pitch black cave the water was illuminated to a hue of blue I've never seen before. The clearest and most beautiful water shone the brightest and deepest colour of blue! Needless to say after such an exciting first few days in Italy we were exhausted! Sadly we for some reason did not bring the camera with us to Positano or Capri, seriously have no idea why we didn't (we are thinking of doing a post with all our pictures from the GoPro and our phones so we can share our experience). I unknowingly hung my bathing suit to dry over a ledge with the Macbook sitting underneath it... We didn't noticed the water dripping onto it for an entire day later. Needless to say when we discovered the soaking wet Macbook (and hard drive eeeek!) there were tears and immediate panic. The salt from the ocean was in piles on top the computer. We thought all was lost when it wouldn't turn on, so after some frantic google searching we opened it upside down and left it for three days hoping for the best. 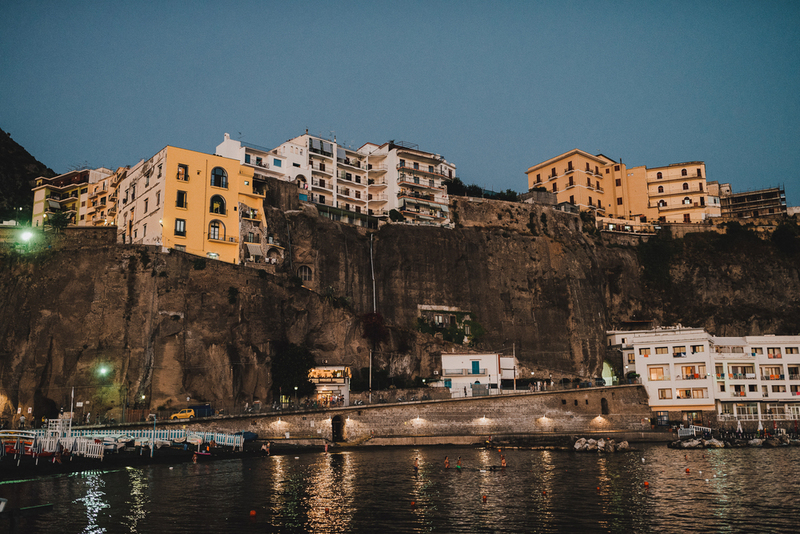 We spent the following day touring around the town of Sorrento, walking through tiny alleyways filled with shops, gelato (seriously I averaged about 2-3 helpings for gelato per day this entire trip), and restaurants. 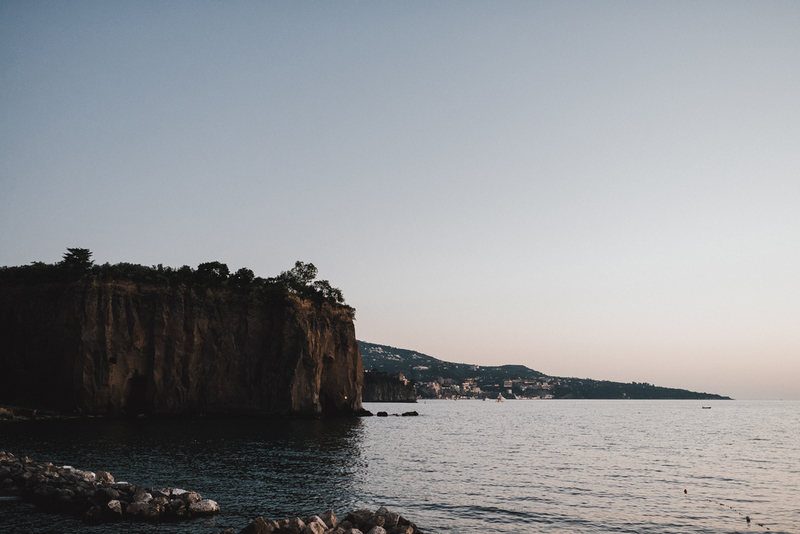 Sorrento was amazing and so peaceful, we even managed to get a load of laundry in at the laundromat (ever try to do a load of laundry in a foreign country? Just press every button until it turns on right?!). 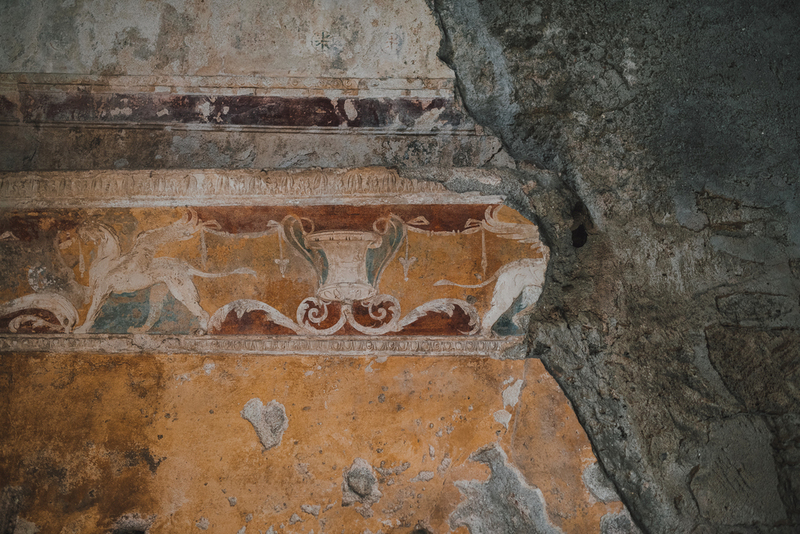 Our final day in Italy we ventured to Pompeii. 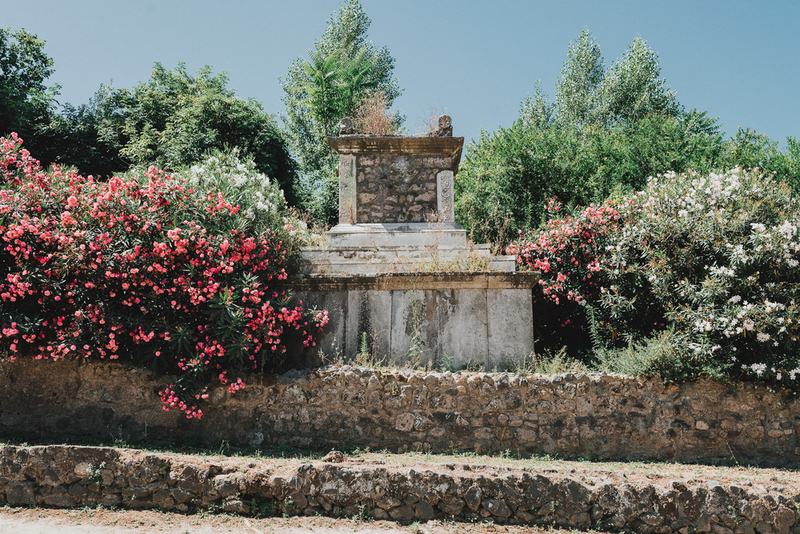 It was scorching hot and for those of you who are not familiar with the history of Pompeii, it's basically a bunch of ruins located in a desert type area near Mt. Vesuvius which erupted many years ago (79 A.D) completely burying the town and everyone who lived there. It consisted of a lot of rocks and artifacts some of which even claimed to be the real bodies of residents who were trapped when the eruption happened. Although, Myles and I happened to stumble upon an area (not sure if it was restricted or what but I don't think we were supposed to be there) which housed duplicates of the bodies and artifacts partially covered by tarps... so we had a hard time believing things were real the rest of our time in Pompeii. Anyways, it was still cool to experience and crazy to think that archeologists are STILL digging out the city to this day. We ended the day back in Meta where we swam and relaxed on the beach. 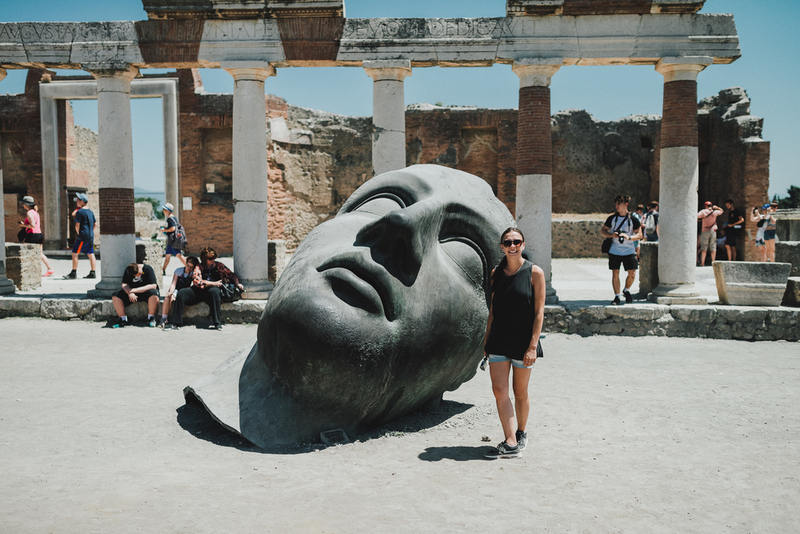 Italy was amazing and we already would love to return and explore more of the beautiful country that had us swooned the entire time we were there!